Join Jenni Antonicic for a Meditaiton Workshop on Saturday, April 20th from 2-4pm at Yoga For All Beings. Learn more about this class and sign up online here. Starting on May 3rd, we’ll have a Friday morning Ashtanga class from 8:30-10am led by YFAB teacher Denise D’Agostino. All levels are welcome to attend this class. Every 2nd Sunday of the month is Yoga Nidra, a guided meditation practice. At YFAB, we start this class with some restorative yoga poses and then settle in to a comfortable supine position (lying down) for the Yoga Nidra practice. This is a wonderful and relaxing way to end your week. No experience necessary. 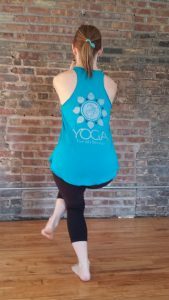 Join Bethany Kibblesmith on Sunday, June 9th from 1-3pm at Yoga For All Beings for a fun and invigorating Backbends Workshop. Learn more and sign up here. Welcome! Yoga For All Beings is a Chicago yoga studio in Ukrainian Village on the northwest corner of Grand Ave and Hoyne Ave. Yoga For All Beings is open seven days a week offering a variety of yoga classes including vinyasa flow, core yoga, yin yoga, vinyin (vinyasa + yin yoga), level 1/basics yoga, restorative yoga, yoga nidra, meditation and Teacher Training and workshops. Yoga For All Beings is a judgment free zone with a friendly community vibe. Competition has no place here. Yoga is an individual practice where we show up to work on ourselves, inside and out. Practicing yoga among a community of welcoming peers and motivational, loving teachers can make your yoga practice extra sweet and that much more rewarding. Yoga For All Beings is open 15 minutes before each class time. For security and to keep our schedule running smoothly and our students out on time, we lock the door at the start of each class. Please do your best to be on time so that you don’t get locked out. Our classes are 60 to 75 minutes long depending on the class. We try to keep our class schedule as consistent as possible and we will always have the most up to date and current schedule online. Take a peak at our class schedule here. 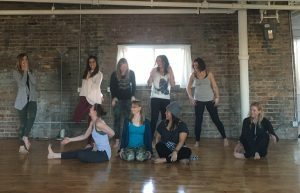 All of our teachers at Yoga For All Beings are down to earth, friendly, certified and experienced yoga instructors who will safely lead you through a well-balanced practice. Yoga For All Beings is a judgment-free zone. We welcome you to our yoga studio with open arms, happy hearts and big smiles. 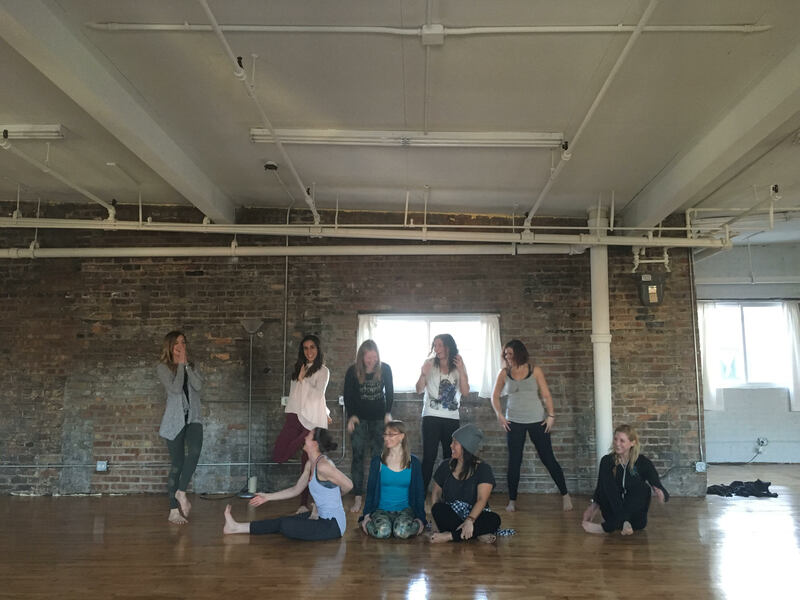 Meet your YFAB teachers here! We are excited to offer an INTRO SPECIAL for all new students of $20 for 1 week of unlimited yoga. We have several pricing options for you to choose from (single drop-in classes, class packages, monthly unlimited and auto pay membership). Check out our pricing page to view a list of all pricing options. 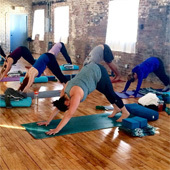 Discounts: Yoga For All Beings is proud to offer a 10% discount on all regular priced yoga options to full-time students and teachers and any military personnel. To take advantage of this discount, please bring your appropriate ID to class. YFAB offers a 20% discount on all regular priced yoga options to all police officers. Police officers can use their discount code online by entering promo code: cpd at online checkout and will then show appropriate ID/badge when arriving for class. Purchase classes Here.Purchase auto-pay Membership here. 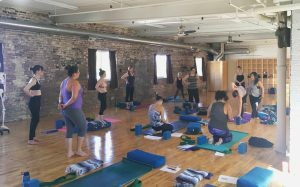 Yoga For All Beings is fortunate enough to occupy a very beautiful, open space at the top of a historic building in the Ukrainian Village. Situated on the third floor with tons of windows throughout, our studio greets students with lots of natural light and positive vibes. We are not a hot yoga studio but we do like to keep our space warm during colder weather. During cold weather, classes are heated to around 78-82 degrees F. On warmer days classes will not be heated. We have plenty of props for your comfort and convenience including blocks, bolsters, blankets and straps. Yoga For All Beings offers rental mats and towels for $2 each. We also have bottled water and organic granola bars for sale, each for $2 and reusable water bottles are available for purchase. As a special treat for our students, YFAB offers complimentary hot tea. Often time, our own YFAB students and teachers will contribute to our selection of teas. If you’re inspired to give, we welcome you to join in the sharing. 🙂 We also have a spacious lounge where you can relax for a few minutes before or after class. 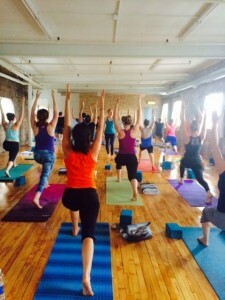 Yoga For All Beings offer Yoga Alliance certified 200 Hour Teacher Training. More info on YTT can be found here. Please let us know if you have any questions about our Chicago yoga studio by sending us an email at info@yogaforallbeings.com or call us at 312-938-9642 (YOGA). Take a Peek Inside of Our Yoga Studio. One of the goals of yoga is supreme consciousness, being at one with yourself and at one with the Universe around you. In order to achieve this state of perfect balance and inner peace, one must first quiet the mind. Hence, quieting the mind is not only another goal of the practice, but also a requirement for the practice in and of itself. Yoga is about self-realization and living life in the present moment, at the most profound level. Yoga is about opening up, diving within and experiencing a deep connection with your true self. Yoga is about feeling that interconnectedness with all things and beings. And this is no small task. Perhaps, one of the best definitions of yoga, as described by Patanjali in his authoritative text, The Yoga Sutra, is a complete stillness of the mind. Yoga is a union. It is a yoking of all the powers of the mind, the body and the soul with that of a universal power or as some prefer to think of it: the yoking of the individual with it’s true self or true nature. Hatha Yoga is the physical practice of yoga that involves creating poses with the body. These physical postures are referred to as asana. Yoga is an eight limb practice, where asana is the third limb and, in the West, perhaps the most commonly known aspect of yoga. A hatha yoga practice not only challenges the body and promotes physical health but it is also a means to calm the mind, create a greater sense of self-awareness and help the practitioner move towards an inner essence of being. According to the yogis, true happiness, liberation and enlightenment comes from union with the divine consciousness known as Brahman, or with Atman, the transcendent Self. The various yoga practices are a methodology for reaching that goal. In hatha yoga, for example, postures and breathing exercises help purify the mind, body and spirit so the yogi can attain union. The short answer is that yoga makes you feel better. Practicing the postures, breathing exercises and meditation makes you healthier in body, mind, and spirit. Yoga lets you tune in, chill out, shape up — all at the same time.